1,184 people read this post. Umm Salamah! What an eventful life she had! Her real name was Hind. She was the daughter of one of the notables in the Makhzum clan nicknamed “Zad ar-Rakib” because he was well known for his generosity particularly to travelers. 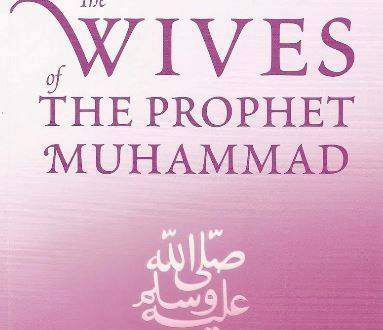 Umm Salamah’s husband was Abdullah ibn Abdulasad and they both were among the first persons to accept Islam. Only Abu Bakr and a few others, who could be counted on the fingers of one hand, became Muslims before them. News eventually reached the muhajirun that the number of Muslims in Makkah had increased. Among them were Hamzah ibn Abdulmuttalib and Umar ibn al-Khattab. Their faith had greatly strengthened the community and the Quraysh they heard, had eased the persecution somewhat. Thus a group of the muhajirun, urged on by a deep longing in their hearts, decided to return to Makkah. The easing of the persecution was but brief as the returnees soon found out. The dramatic increase in the number of Muslims following the acceptance of Islam by Hamzah and Umar only infuriated the Quraysh even more. They intensified their persecution and torture to a pitch and intensity not known before. So the Prophet gave permission to his companions to emigrate to Madinah. Umm Salamah and her husband were among the first to leave. They then pounced on him end snatched me away from him. My husbands clan, Banu Abdulasad, saw them taking both me and my child. They became hot with rage. “No! By Allah,” they shouted, “we shall not abandon the boy. He is our son and we have a first claim over him.” They took him by the hand and pulled him away from me. Suddenly in the space of a few moments, I found myself alone and lonely. My husband headed for Madinah by himself and his clan had snatched my son away from me. My own clan, Banu Makhzum, overpowered me and forced me to stay with them. But how could I join my husband in Madinah and leave my son, a piece of my own flesh and blood, in Makkah among the Banu Abdulasad? How could I be free from anguish and my eyes be free from tears were I to reach the place of hijrah not knowing anything of my little son left behind in Makkah? Some realized what I was going through and their hearts went out to me. They petitioned the Banu Abdulasad on my behalf and moved them to return my son. I did not now even want to linger in Makkah till I found someone to travel with me and I was afraid that something might happen that would delay or prevent me from reaching my husband. So I promptly got my camel ready, placed my son on my lap and left in the direction of Madinah . “By Allah. I shall never abandon you until you reach Madinah,” he vowed. Great and momentous events followed one after the other. There was the battle of Badr in which Abu Salamah fought. The Muslims returned victorious and strengthened. Then there was the battle of Uhud in which the Muslims were sorely tested. Abu Salamah came out of this wounded very badly. He appeared at first to respond well to treatment, but his wounds never healed completely and he remained bedridden. Umm Salamah remembered the prayer her husband had quoted on his deathbed from the Prophet and began repeating it, “O Lord, with you I leave this my plight for consideration . . .” But she could not bring herself to continue . . . “O Lord give me something good from it”, because she kept asking herself, “Who could be better than Abu Salamah?” But it did not take long before she completed the supplication. The Muslims were greatly saddened by the plight of Umm Salamah. She became known as “Ayyin al-Arab”– the one who had lost her husband. She had no one in Madinah of her own except her small children, like a hen without feathers.